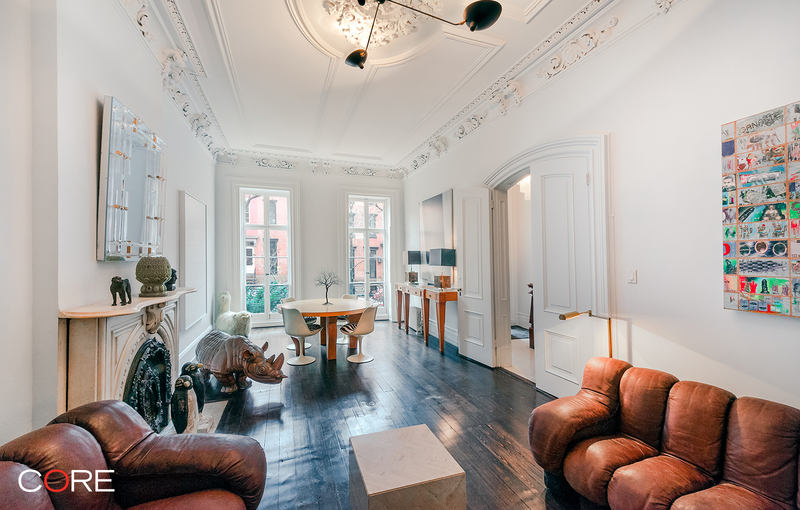 Beautifully located on the finest tree-lined West Village block, this rental offers a rare opportunity to live in three and a half floors of a gorgeous Italianate-style townhouse built in 1856. With many original details intact, this grand house retains a wonderful sense of history while enjoying the comforts of many modern renovations. This house is filled with light from both the open southern and northern exposures which overlook a planted lush garden. The original stoop entrance opens onto the parlor floor with the original staircase and an elegant 31-foot long living room featuring 12-foot ceilings, ornate ceiling moldings, wide plank oak floors and original marble fireplaces. On this floor, the formal dining room and renovated kitchen add to the comforts of the modern renovations this house offers. On the third floor are two bedrooms with the original marble fireplaces, a bathroom, an office and a laundry room. 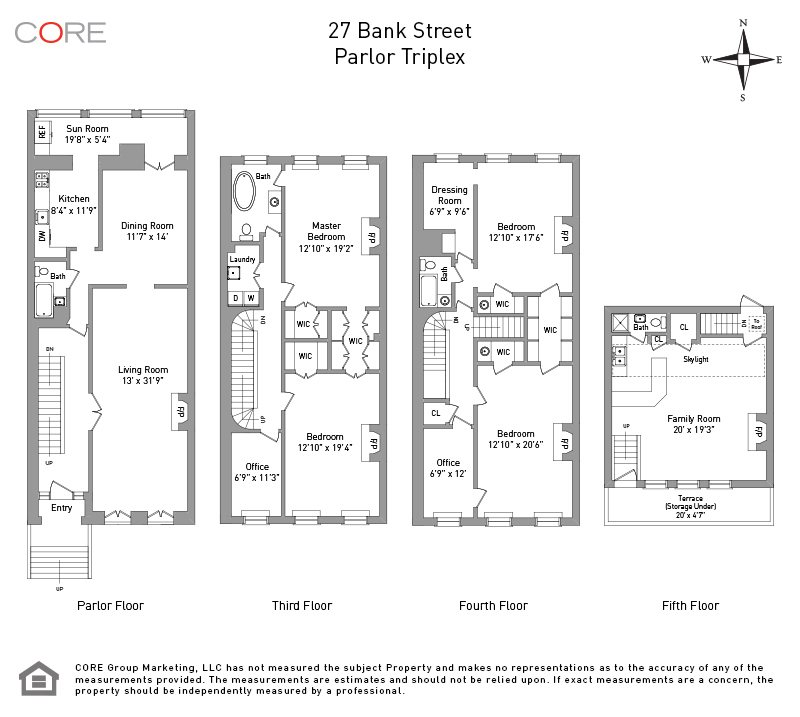 The fourth floor has two bedrooms also featuring marble fireplaces, a dressing room, a bathroom and an office. At the top of the house is a studio with soaring ceilings, a wall of windows and a roof deck. This top floor with a full bathroom would make an excellent family room.